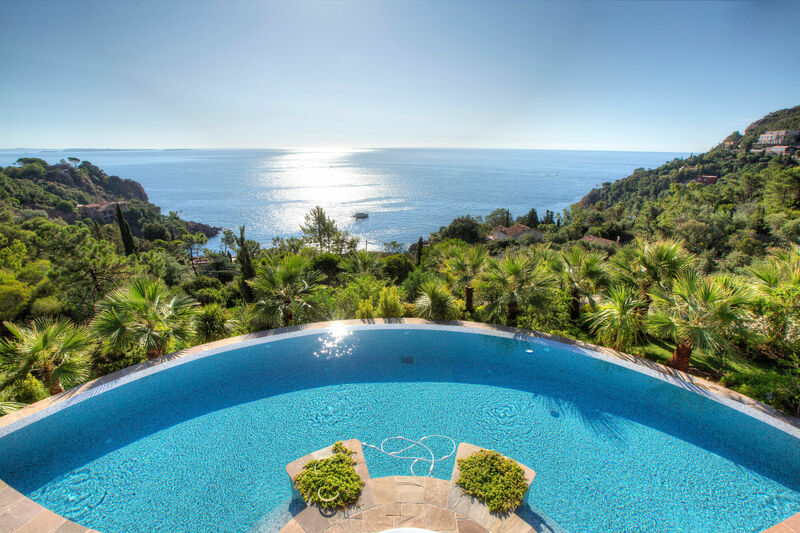 Located in a private estate with a direct access to a hidden cove, this sumptuous property offers a panoramic sea view. Entirely redesigned the villa is a mix between modernity and authenticity, with first choice materials and high standard amenities (sauna, elevator, fountain. 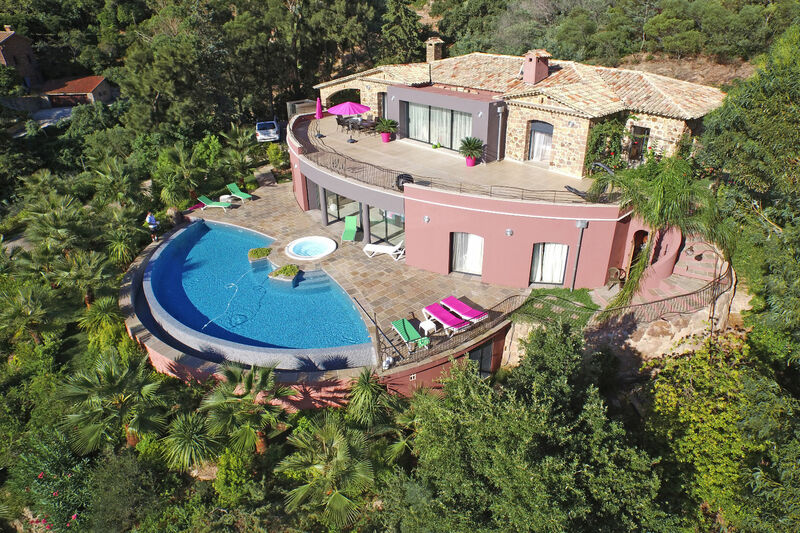 Set on a 3 577 m² landscaped garden , the villa proposes a 373 m² living space, with 2 spacious living rooms and 5 bedrooms. The heated infinity pool and Jacuzzi, as well as the numerous terraces profit of an amazing sea view - Jeu de boules area, parking area, garage.